A tremendous Summer Junior camp! Our 11 year old son spent 2 weeks at the Alpine French School Summer Junior camp and had an amazing time. The program that includes language lessons in the morning and fun & exciting activities in the afternoon is the perfect formula for young people to improve their language skills whilst having fun. So much so he wants to go back this year but this time for 3 weeks! Thanks Alpine French school for a really special experience. Our 15-year old daughter spent 2 weeks at the Junior Summer Camp in July 2017. She had a fantastic time and I was so proud when we picked her up. As I had hoped (and I suppose, expected) her French – both her confidence in speaking and her grammar – had improved massively. But as well, the experience made her grow and mature in so many other ways. She gained so much from this friendly, stimulating and supportive international environment. This was an outstandingly good experience for her. I’d just like to thank you for taking such good care of my daughter during the two week camp. This was her first time away from home and she didn’t miss us at all. I’m very pleased to have chosen your school. Take care and we’ll be in touch next summer. Just a belated note to say thank you for everything you and your team did for the boys during their 2 weeks at camp. They both had a fantastic time and enjoyed every moment! We are now back in Bangkok and they start back to school next week so will be interesting to see how they get on in their French lessons! Just a quick e mail to say how much the kids enjoyed your school .I think they are both keen too come back next year ,and Tiger seems now bent to do A level french ! Thanks again Helen, for all your help and support along the way and for a fantastic experience for our little boy. Alessandra had had French classes at school for a couple of years. After two years they were still teaching basic words like greetings, colours, numbers. They said they couldn’t start teaching sentences until they children were 10 / 11 years old. She was not enjoying it at all and really didn’t see the point. So, she couldn’t be bothered and didn’t do well. The school told us the reason for her poor performance was that she clearly had no memory for language and would struggle to learn another language. They said they had tried but there was really nothing they could do about her lack of memory! Not a great conversation. However, I wasn’t prepared to write off her ability to learn another language at age 8. So, I sent her out to Alpine French School. And we made a very big decision over the summer holidays to change her school here in the UK. This year, the French teacher in her new school says she is very enthusiastic in class. She hasn’t scored less than 85% in her French tests since she joined and has even had a Commendation from the Headmaster for consistently scoring 100% in her weekly French vocabulary tests. Unquestionably she sees it as more fun learning French after having experienced actually using French in real life settings when at your school. Nearly a year later, she is still talking about being able to go to the local market and buy nougat in French! She asked me yesterday if she’ll be able to do that again this year. Joe is really enjoying himself, so much so that he has broached the idea of staying for a little bit longer. Would it be possible for him to stay for an extra night or two? Very good feedback from Sara, we will recommend your place, it is beautiful with a lot of activities, plus your team. She enjoyed her French classes when the teacher insisted to speak only in French. Thank you for having Sara in your camp and see you next time! Yekaterina really enjoyed her time in Morzine. She liked the food, beautiful location and the homely atmosphere. The private French lessons she took were really useful and the communication with Alpine French School was pleasant, easy and helpful. She most enjoyed the excursions and activities! I had a great time and enjoyed the lessons, the food and the activities, especially the canyoning, which was challenging and memorable! I just wanted to thank yourself and the Alpine French School team for an amazing week in Morzine. My experience has been positive throughout, from the initial booking and logistics communications, to the classes themselves. The admin team were quick to respond to any queries I had, and provided very detailed information on all aspects of the booking, all with a friendly smile. 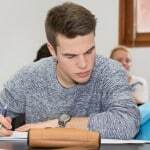 I would like to share my appreciation for the teaching style; challenging grammar lessons and engaging oral/written sessions, unparalleled to language lessons I have taken at university. I am very impressed with the school and would definitely recommend it to others looking to combine language lessons and activity holidays of this kind. Last week I was with you having booked one to one tuition for fifteen hours over five days (two hours each morning followed by one in the afternoon) to improve my French. I flew across from the UK especially, as the school had been recommended to me by my cousin who lives in Les Gets (she had attended a group conversational course with you last year). I was a little apprehensive as flying across from the UK and booking fifteen hours of one to one tuition for a week was a bit of a hit on the bank account. But I must say, it was money very well spent and worth (as we say in England) every penny. In the morning I had two hours with Celine and after lunch one hour with Justine. Celine’s instruction was exactly right for me at my level. With her fifteen years spent teaching in England she knew instinctively what I needed and what was best for me to progress, I learnt so much in the period of five days it was incredible and I completely surprised myself. After two hours each morning with Celine, I would then spend an hour with Justine to confirm what I had been taught in the morning – which was a perfect system. Both Celine and Justine made me feel relaxed and not worry about making mistakes. It was most definitely money well spent and I exceeded all my expectations. I would also like to say that everybody in the school was relaxed, friendly and happy (I was always hearing laughter), I didn’t feel like a student but part of the team and I thoroughly enjoyed my time spent in the school. C’était un super bon expérience, c’était très cool! Je voudrais bien rentrer ici. Je suis un peu triste de partir! I have had a lovely time at AFS. Who knew that doing a 10 week French course could be so enjoyable? The whole AFS team are so accommodating and will always do what is in their power to make your stay more enjoyable. Being able to ski in the mornings and have lessons in the afternoons is a great system and I have enjoyed every bit of my 10 weeks here, and I feel like my French has improved! The school was extremely professional in its approach to providing excellent teaching. My expectations of the course were met and French language was used at all times so we were totally immersed. The teaching materials were excellent, don’t change anything! My husband and I have just completed a week’s intensive course at the Alpine French school in Morzine and we can both see an improvement in each other’s French. To anybody who is undecided as to whether or not they should try it, I would definitely say yes. Go for it! As an ex teacher I know that the best thing that we can do for our pupils is to give them confidence and enthusiasm and the teachers at the AFS certainly do that for you no matter what your level of French is or how old you are. It was great to listen to a native French speaker who spoke clearly and slowly (enough). Each day I heard lots of new vocabulary which was frequently repeated so that by the end of the week I felt as if I had learnt a vast amount. There was a good balance of activities to suit different learning styles and plenty of opportunities to practice speaking. Not long after the last lesson I happened to be in a small shop in the village and began a conversation with the shopkeeper who was amazed and delighted. He exclaimed, “ah vous parlez francais. C’est magique!” What better testimonial could you get than that! Alpine French School had a lovely happy atmosphere. The course met my expectations with the use of different teaching methods: cards, games, riddles, and all grammar points were fully explained. The one to one private intensive format worked really well and was the best part of my course! The teachers are the best, go to Alpine French School! I would thoroughly recommend this course to anyone who wants to learn French in a French environment. The enthusiasm of the staff is very encouraging and the teacher was very good at assessing my learning needs. At first I was very nervous but I felt I was put in the right class and felt I have grown and improved so much. Thank you! What better than learning French with a wonderful teacher in the beautiful Alps! The perfect mix of intense morning study and active afternoons where you are free to do what you want. Everyone at the school and all the Morzine locals have been so friendly, I can’t wait to come back! Thank you for the week’s intensive French Courses. Tricia and I really enjoyed our weeks and both of us thought that our tutor was excellent. We look forward to booking some further lessons when we can. I enjoyed everything about the course! The structure of the week was really good. Day on day developing what you had done the day before and building from there. A great learning experience and never felt like it was too much. The teacher was fantastic! 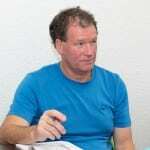 I have had several courses of lessons with Alpine French School in the last three years and can highly recommend them. I was virtually a beginner when I moved to the Morzine area and can now get by quite comfortably running my business and dealing with every day life in France. Helen has always been incredibly helpful and organised my yearly training budget so that I receive my lessons for free. The teachers have been great too, I have only had one week of lessons with Debs but she was fantastic. I have had all of my recent lessons with Christelle and she is brilliant. She is good at reading the class and tailoring the lessons accordingly. I have had a mixture of intensive courses, group and private lessons and all have been very beneficial. The weekly conversational classes are great too just to keep up the practise in a positive learning environment. I’m looking forward to starting up with lessons again soon!